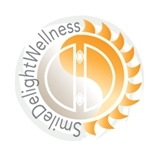 Smile Delight Dental Solutions (San Francisco) - Book Appointment Online! SmileDelightDentalSolutions is a full service General Family and Cosmetic Dentistry practice. In addition to providing our patients with general dentistry care we are able to perform all phases of advanced surgical and reconstructive dentistry in the same office by the same team of doctors and dental staff. We are proud to be Pure Life Certified Green practice as we use digital x-rays, mercury-free fillings and Eco-friendly infection control and sterilization/evacuation protocols.